In 2010, as a young reporter, I covered the eruption of Yogyakarta’s Mount Merapi, which killed at least 353 people and displaced more than 350,000 others, most of whom were villagers who had lived on the slopes of one of the most active volcanoes in the world for many years. There, I met a Sidorejo village native, Sukiman Mohtar Pratomo, who founded the Merapi Information Network (Jalin Merapi) radio community, a network involving village and community leaders, volunteers, monitoring post staffers and donors. It was initially a regular community radio channel, but after the Merapi eruption in 1994, Sukiman transformed the radio broadcast into an effective channel of communication for local communities. Through the channel, they exchanged information regarding Merapi and disaster mitigation in general. 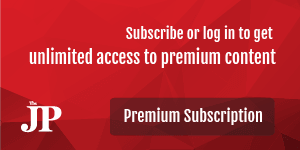 Most of the time, it was through the channel’s regular comedy program Ketoprak. 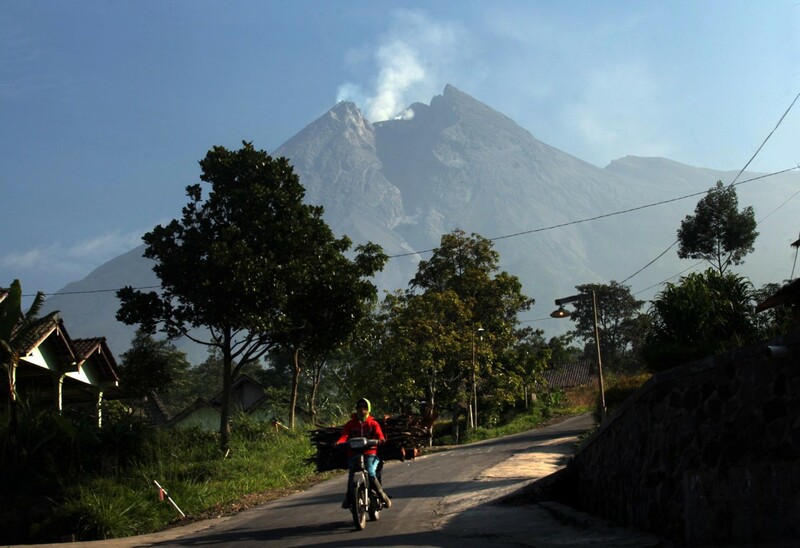 Mount Merapi typically erupts every four years, but most villagers have learned what to do when local authorities issue warnings via all means of communication. There are three different levels of warning—waspada, or caution; siaga, or standby, and the highest level, awas. Once a waspada warning is issued, neighborhood unit heads make a list of the residents, breaking it down to details such as the number of men, women, children and elderly people, their health status, as well as the number of vehicles they possess. When the alert level is increased to siaga, each family packs their emergency kits and gets ready to leave if the awas warning is heard. I also met with a community leader in the neighboring village of Somohitan, who had set up an information system that allowed villagers to receive signals about Merapi’s volcanic activity. They also self-manage emergency supplies, so when they need to relocate, they will not have to rely on aid from others, at least in the first few days after a disaster. After the 7.4-magnitude earthquake and tsunami hit Palu and Donggala in Central Sulawesi last Friday, an amateur video went viral, showing high waves sweeping people away on Talise Beach in Palu. In the video, the man who recorded the deadly event can be heard shouting “Tsunami! Run to higher ground! Run for your life!” He eventually bursts into tears in despair as the people, seemingly perplexed, run in random directions instead. Critics were quick to point the finger at the authorities, i.e. the Meteorology, Climatology and Geophysics Agency (BMKG), which ended the tsunami warning just before the killer waves pounded into the shore. Doubts were cast over the effectiveness of the information system in the area. Other observers highlighted the fact that the people looked unaware that they needed to move to higher ground after an earthquake even in the absence of a tsunami warning. But that is too high an expectation, as the people were basically unprepared for a large-scale disaster in the first place. Powerful quakes frequented Donggala and Palu Bay from 1927 to 2012. The local BMKG recently reported that earthquakes had jolted the region about 30 times over the last four months as a result of shifts in the active Palukoro Fault. Despite these occurrences, people failed to anticipate the risks. A Jakarta Postcorrespondent in Palu, Ruslan Sangadji, reported that locals had never practiced earthquake and tsunami drills. This is probably also the case in many other disaster-prone parts of the country. Scientists have often talked about the potential risks posed by shifts of the Lembang Fault that lies about 9 kilometers from my hometown of Bandung, West Java. But we have not prepared for a devastating quake that could happen at anytime. We live in the largest archipelagic nation in the world, but most children are not even taught how to swim. We sit on the Pacific Ring of Fire, yet we don’t teach our children about first aid. Most people never receive cardiopulmonary resuscitation (CPR) training. Despite living in quake-prone areas, we don’t have regular drills in schools (I’ve only attended a fire drill once in my life). Most of us simply know nothing about the do’s and don’ts, where to go, whom to call, what to bring and how to survive during an emergency. In other disaster-prone countries such response procedures are automatic, even when half-asleep. Knowledge about first aid, the ability to stay afloat for 30 minutes until a lifeboat arrives and other basic survival skills may increase our chances of survival in different emergency scenarios. The ability to perform CPR may also enable us to save our loved ones, neighbors or anyone in need. Reports about and maps of the disaster risks across the country are widely available, so while we may have some awareness, he have been too complacent. A study by the Indonesian Institute of Sciences (LIPI) suggests that investment in regional disaster risk reduction is low, with local administrations allocating less than 0.1 percent of regional budgets to relevant projects. The Merapi community initiative and similar movements elsewhere show that disaster mitigation and preparedness can be instilled as part of our collective consciousness. As part of a disaster mitigation campaign, a scientist once suggested that a marathon race in an area vulnerable to earthquakes and tsunamis should follow the evacuation route. We need to think of many different ways to promote disaster response. Of course we can’t avoid disasters but we can minimize their impacts because one life lost is too many.